FIRST DAM HAS PRODUCED FIVE $100,000 WINNERS. FROM THE IMMEDIATE FAMILY OF SO COZY $880,492. 1/2 SISTER TO MOVE ON 1:51.1 $679,134, IM HERE TO WIN 1:53.1 $205,176, RIGHT TO THE TOP 1:50.2 $197,783, WHISTLE JACKET 1:53.1 $194,572 (FORMER $325,000 YEARLING) AND TRUCKIN JONES 1:54 $148,406. CRYSTALS STAKES WINNING FOALS NOW INCLUDE THE 3 YEAR OLD FILLY BADLANDS PALACE $54,610 WHO IS NOW A WINNER IN 1:57, AND THE 2 YR OLD COLT DRAGON SLAYER 1:58.4 $29,249. FOALS FROM CRYSTAL ARE ELIGIBLE TO BOTH THE ALBERTA SIRE AND BC BREEDERS STAKES. CONFIRMED IN FOAL TO CUSTARD THE DRAGON IN 2018 DUE MAY 24/19. A FORMER $60,000 YEARLING BY ROCKNROLL HANOVER OUT OF THE IRON TOUGH ARTSPLACE MARE CAITLIN Q. CAITLIN Q WON AN IMPRESSIVE 21 TIMES ESTABLISHING A MARK OF 1:54 $174,362. AT TWO BUCK STOPS HERE FINISHED SECOND TO PRETTY KATHERINE IN THE ETERNAL CAMNATION AND THIRD IN AN ELIMINATION OF THE SHES A GREAT LADY STAKE. SHE IS A 1/2 SISTER TO DUNGEON DRAGON 1:51.3 $162,995, 3/4 SISTER TO THE NICE TWO YEAR OLD WESTERN DYNASTY $72,543, 1:50.2 ($100,000 YEARLING) NOW SECOND IN A PA SIRES STAKE, AND THE 4 YEAR OLD MARE LIFE IS A BEACH 1:52 $156,718. SECOND DAM, WORLD CHAMPION DAWN Q 1:51.3 $392,671 FINISHED 2ND IN BOTH THE TWO AND THREE YEAR OLD BREEDERS CROWN FINALS. CONFIRMED IN FOAL TO WORLD CHAMPION CUSTARD THE DRAGON IN 2018 DUE JUNE 1/19. SEVEN YEAR OLD ROCKNROLL HANOVER MARE OUT OF THE SUPER FAST MARE ARMBRO WALLFLOWER 1:51.1 $719,264. A FORMER $42,000 YEARLING, CANT STOP ROCKIN IS A FULL SISTER TO ITS ONLY ROCKNROLL 1:52.2 $64,953, 1/2 SISTER TO COLLEGE MAJOR 1:51.2 $128,410, BEACH OF A TIME 1:52.2 $67,939 AND WALL OF ART 1:53.2 $35,037. SECOND DAM APPLE COUNTRY IS THE PRODUCER OF OVER 2 MILLION IN EARNINGS, INCLUDING ARMBRO MACINTOSH 1:51.1 $471,628, RUSTYS GOLD 1:51.4 $352,219, ARMBRO VAPORIZE 1:52.1 $163,184, RAIN OUT 1:54 $135,183 AND SUDDEN SONSHINE 1:54 $131,623. CONFIRMED IN FOAL TO WORLD CHAMPION CUSTARD THE DRAGON IN 2018 DUE FEB 27/19. 5 YEAR OLD DAUGHTER OF ROCK N ROLL HEAVEN OUT OF THE MULTIPLE STAKES WINNING MARE GRO 150.3 $454,135. GRO WAS A WINNER OF THE PACIFIC PACING SERIES,TENDER LOVING CARE SERIES AT 3. AT 4 SHE WAS THE WINNER OF THE JERSEY GIRLS SERIES LEG TWICE. NO PELO BLUE CHIP WHO WAS A FORMER $72,000 YEARLING IS A FULL SISTER TO MIGRATE BLUE CHIP 1:51.3 $183,951. MIGRATE BLUE CHIP WAS A $180,000 YEARLING PURCHASE. CONFIRMED IN FOAL TO WORLD CHAMPION CUSTARD THE DRAGON IN 2018 DUE APR 25/19. MAJOR LADY IS A FORMER $97,000 YEARLING. SHE IS A 3/4 SISTER TO EXQUISITE ART 1:50.4 $650,390, A WINNER OF 45 LIFETIME RACES AND QUEEN OTRA 1:51 $207,273 THE DAM OF ROLLWITITHARRY 1:50.1 $646,459, KING OTRA 1:51.3 $352,745 TRACK MASTER D 1:50.1 $330,293, BETTOR BELIEVE IT 1:50.4 $75,390 AND ALL THE COOKIES 1:50.2 $121,260. A 1/2 SISTER TO THE SENSATIONAL GRAND CIRCUIT COLT IN THE ARSENAL 1:49.4 $1,056,803, AND PREMIER 1:51.1 $219,672. MAJOR LADY IS THE DAM OF 13 TIME WINNER SMALL TOWN TERROR 1:51.4 $106,272 (SEE VIDEO) , TIME RUNNING OUT 1:55.3 $23,915 (TIMED IN 1:51.2) AND AMERICAN SNIPER 155.3 NOW A WINNER OF THREE RACES IN 6 LIFETIME STARTS.. IMPRESSIVELY BRED OUT OF THE ON THE ROAD AGAIN MARE LADY OTRA 1:53.2 $115,627, MAJOR LADY IS A FULL OR HALF SISTER TO THE WINNERS OF MORE THAN 2 MILLION DOLLARS. CONFIRMED IN FOAL TO WORLD CHAMPION VINTAGE MASTER IN 2018 DUE JUNE 2/19. A FORMER $30,000 YEARLING BEYOND PARADISE IS A STAKES PLACED DAUGHTER OF ARTSPLACE OUT OF THE FABULOUS PRODUCER ATOMICAL, DAM OF THREE- $100,000 WINNERS. HER FULL SISTER IS THE DAM OF $255,000 WINNER AND 1:50.2 PACING MARE FOLLOW YOUR BLISS. BEYOND PARADISE IS THE DAM OF BETTORS PARADISE 1:55.1 $36,331 AND THE STAKES WINNING COLT CIGAR PARTY 1:54 $41,910. CONFIRMED IN FOAL TO VERTICAL HORIZON. BEAUTIFUL DAUGHTER OF ART MAJOR, A FORMER $90,000 YEARLING. A WINNER OF $57,476 AT TWO AND THREE. 1/2 SISTER TO AHDOUGHNOLUM 1:50.4 $274,580 , SPORTS LIGHTNING 1:51.1 $140,162 AND THE 3 YEAR OLD STAKES WINNING GOLDSTAR AURORA 1:54.3 $89,133 . HAS A BEAUTIFUL CUSTARD THE DRAGON FILLY AT HER SIDE BORN MARCH 31/18. THIS YOUNG ROCKNROLL HANOVER MARE IS THE FIRST FOAL OF THE STAKES WINNING AND WORLD CHAMPION MARE JUS CHILLN OUT 1:50.3 $303,801. SHE IS A 1/2 SISTER TO BETTOR CHILL OUT 1:51.2 $188,274, TIMED IN 1:50.4. WORLD CHAMPION AND JUGETTE WINNING THIRD DAM TOY POODLE WAS THE DAN PATCH 3 YEAR OLD PACING FILLY OF THE YEAR AND THE DAN PATCH OLDER PACING MARE OF THE YEAR. PEDIGREE BOASTS TWO WORLD CHAMPIONS IN THE IMMEDIATE FAMILY. 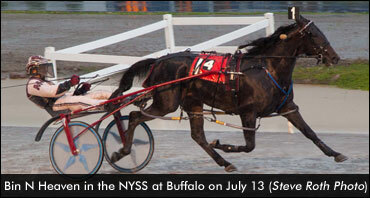 DAM OF SHES JUST CRUISING 1:52.4 $31,940 (SEE VIDEO) AND THE STAKES WINNING HURRIED ROMANCE 1:57,2 $24,650. HAS A CUSTARD THE DRAGON FILLY , BORN APRIL22/18 AT HER SIDE. 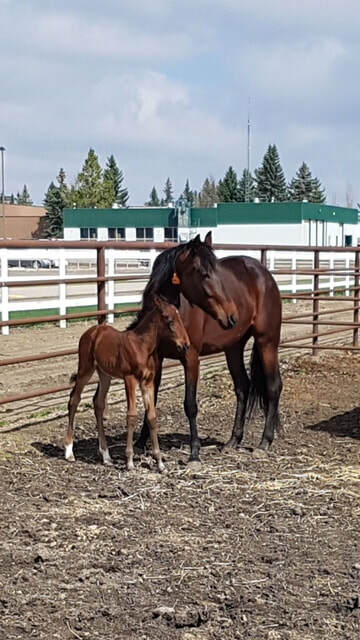 SHES JUST ROCKINS FOALS ARE ELIGIBLE TO BOTH THE ALBERTA SIRE AND BC BREEDERS STAKES. HAS A BEAUTIFUL CUSTARD THE DRAGON COLT BORN APR 18/19. 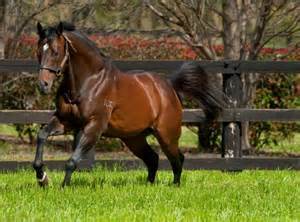 1/2 SISTER TO THE SENSATIONAL SUNSHINE BEACH 1:47.4 $977,438, WARAWEE FLARE 1:50.3 $609,019, WESTERN MOONLIGHT 1:52.3 $366,091 AND SAFE HARBOR 1:51.1 $339,228. 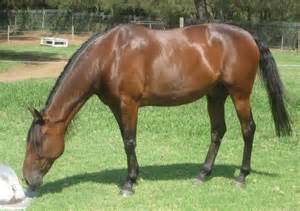 A YOUNG MARE WITH HUGE UPSIDE. SHES SHINYS FIRST FOAL IS SHESAMYSTERY 1:57.1 $10,264. LOST HER CUSTARD FILLY THIS YEAR. FOALS ELIGIBLE TO BOTH THE ALBERTA SIRE AND BC BREEDERS STAKES. HAS A BEAUTIFUL CUSTARD THE DRAGON COLT BORN APRIL 28/18 AT HER SIDE. CONFIRMED IN FOAL TO CUSTARD THE DRAGON DUE MAY 2/19. AT 2 SECOND IN A LEG OF THE WHENUWISHUPONASTAR SERIES AT MOHAWK. AT 4 THIRD IN THE FINAL OF THE MISS CLOVERDALE PACE. 1/2 SISTER TO SHOPPING DESIRE 1:57.3 $75,155. MULTIPLE WINNER OF THE MARES OPEN EVENTS AT NORTHLANDS PARK. A WINNER OF 14 LIFETIME RACES. 2011 THREE YEAR OLD ASHA AWARDS CHAMPION. DAM IS A HALF SISTER TO WORLD CHAMPION SHES A GREAT LADY 1:50.4 $973,382. CONFIRMED IN FOAL TO WORLD CHAMPION VINTAGE MASTER IN 2018. SEVEN YEAR OLD MARE BY REAL DESIRE OUT OF THE DIRECT SCOOTER MARE COLLECTING KISSES $128,162. A STAKES PLACED PERFORMER AT FRASER DOWNS, FINISHING 2ND IN THE MARION YOUNG STAKE AND THIRD IN THE BC BREEDERS STAKE DIVISION AND THE PENNY BATH MEMORIAL STAKE. 1/2 SISTER TO SPLENDED KISSER 1:49.4 $173,005 AND KISS THE WEST 1:56.1 $79,212. FOAL WILL BE ELIGIBLE TO BOTH THE ALBERTA SIRE AND BC BREEDERS STAKES. BEAUTIFUL GOOD SIZED DAUGHTER OF ART MAJOR, A FORMER $50,000 YEARLING. A WINNER IN 1:53.1 SHE IS A HALF SISTER TO TWIN B IMPRESSIVE A WINNER OF 22 RACES WITH A MARK OF 1:51 AND CAREER EARNINGS OF $467,662. ALSO A 1/2 SISTER TO ITS THE PAPER GIRL 1:53.4 $127,074, TWIN B INSPIRING 1:52 $128,624 AND A FULL SISTER TO TWIN B IDOL 1:55 AT TWO $65,484. FROM THE IMMEDIATE FAMILY OF DIAL OR NO DIAL 1:48.3 $1,704,687. 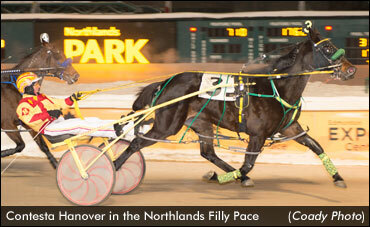 TREASURES 3 YEAR OLD COLT BY IF I CAN DREAM, FOUNDMYTREASURE IS A WINNER IN 1:55.4 WITH EARNINGS OF $36,261. HAS A BEAUTIFUL CUSTARD THE DRAGON FILLY BORN APRIL 17/18. CONFIRMED IN FOAL TO VERTICAL HORIZON. GREAT LOOKING MARE FROM ONE OF THE GREATEST FAMILIES IN THE SPORT. A FORMER BRITTANY FARMS MARE CARRYING JUST HER 4TH FOAL. ACCENTUATE WAS A STAKES PLACED WINNER OF $13,270 AT TWO, THIRD IN THE COUNTESS ADIOS TIMED IN 1:52.4. SHE IS A 3/4 SISTER TO THE SENSATIONAL STAKES WINNING COLT CAPITAL ACCOUNT 1:50 $434,792 , AND PENPAL 1:49.2 $406,907. PENPAL FINISHED SECOND IN THE MISTLETOE SHALEE TIMED IN 1:49.3, LAST QUARTER IN 26.1, THIRD IN THE BLUEGRASS, GLEN GARNSEY AND BREEDERS CROWN ELIMINATION. DAM OF REAL LOVE 1:54.4 AND THE 2 YEAR OLD STAKES WINNING MACH THREE COLT MACHITOUTOFTHEPARK 1:58.4 $29,250. HAS A BEAUTIFUL CUSTARD THE DRAGON FILLY BY HER SIDE BORN MAR30/18 . ACCENTUATES FOALS ARE ELIGIBLE TO BOTH THE ALBERTA SIRE AND BC BREEDERS STAKES. CONFIRMED IN FOAL TO CUSTARD THE DRAGON IN 2018 DUE APRIL 10/19. STAKES WINNING DAUGHTER OF PRESIDENTIAL BALL. WINNER OF A LEG OF THE MARY MURPHY STAKE AND SECOND TO PHONE TERROR IN THE MURIEL FORNWALD STAKE. SISTER TO MYSTIC MAIDEN 1:52.2 $241,920, MULTIPLE STAKES AND OPEN CLASS WINNER COMPILING A RECORD OF 41-27-3-2. ALSO A SISTER TO LUCKY JENNY 1:55.1 $215,908 A WINNER OF 28 RACES AND JULIAS GIRL 1:58 $70,169 A WINNER OF 26 STARTS. BRED TO WORLD CHAMPION CUSTARD THE DRAGON IN 2019. FOALS ELIGIBLE TO BOTH THE ALBERTA SIRE AND BC BREEDERS STAKES. 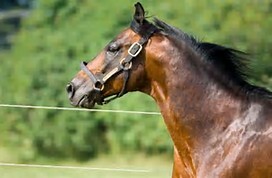 SEVEN YEAR OLD DAUGHTER OF ART MAJOR OUT OF THE EXTREMELY FAST MARE ATHENA BLUECHIP 1:50.3 $457,118. CHEMISTRY MAJOR IS A 3/4 SISTER TO ARTS CHIP 1:49.3 $809,235(SEE VIDEO), AND A FULL SISTER TO JO PAS FOD 1:51.2 $202,156. CONFIRMED IN FOAL TO VINTAGE MASTER IN 2018. FOALS ELIGIBLE TO THE ALBERTA SIRE AND BC BREEDERS STAKES. DUE JUNE 8/19. BEAUTIFULL 3 YEAR OLD DAUGHTER OF WESTERN TERROR OUT OF THE 100% PRODUCING MARE DONT YOU SMILE. NEVADA WAS A $32,000 YEARLING PURCHASE. SHE IS A HALF SISTER TO LITTLE BROWN JUG WINNER VEGAS VACATION 1:48.3 $1,125,368. VEGAS VACATION CAMPAIGNED BY CASSIE COLEMAN WAS ALSO THE WINNER OF THE MATRON, SIMCOE, EBC FINAL AND ELIMINATION, NORTH AMERICA CUP ELIM AND THE SOMEBEACHSOMEWHERE STAKES. NEVADA IS ALSO A 3/4 SISTER TO NOTREADYTOBENICE 1:54.1 $212,192, WINK AND NOD 1:53.1 $56,998, SUCHASENSEOFHUMOR 1:52 $62,434. CONFIRMED IN FOAL TO MYSTERY CHASE IN 2018. FOALS ELIGIBLE TO THE ALBERTA SIRE STAKES. DUE MAY 11/19. 9 YEAR OLD DAUGHTHER OF ROCKNROLL HANOVER OUT OF THE ARTSPLACE MARE TALLULAH BELLE. A FORMER $30,000 YEARLING PURCHASE. GO ROCKIN ROBIN IS A 1/2 SISTER TO METROPOLITAN 1:50.1 $1,317,315, SPECIAL BLEND 1:51 $266,611, WILDCAT FEVER 1:50 $176,915 AND A FULL SISTER TO RAQUEL 1:53 $164,648. GO ROCKIN ROBIN IS CONFIRMED IN FOAL TO WORLD CHAMPION CUSTARD THE DRAGON IN 2018. ROBINS TWO YEAR OLD FILLY ROBINS TERROR IS A 156.2 WINNER WITH EARNINGS OF $15,431 AND HAS BEEN TIMED IN 1:53.1 RACING AGAINST THE SENSATIONAL RAINBOW ROOM. FOALS ELIGIBLE TO BOTH THE ALBERTA SIRE AND BC BREEDERS STAKES. BRED TO WORLD CHAMPION CUSTARD THE DRAGON IN 2019. THIS FORMER $75,000 YEARLING PURCHASE IS FROM A $584,633 STAKES WINNING BETTOR DELIGHT MARE AND FROM A DEEP STAKES PERFORMING AND PRODUCING FAMILY. BINIONS EARNED $584,633 AND HAD A RECORD OF 1:51.2. SECOND DAM TOYLEE HANOVER WAS A WORLD CHAMPION EARNING $516,322 AND PRODUCED POWERFUL TOY 1:51.1 $868,657. AT TWO BIN N HEAVEN WAS A WINNER OF A LEG OF A NYSS AT BUFFALO, SECOND TO JUGETTE WINNER SASSA HANOVER IN A NEW YORK SIRES STAKE AT YONKERS. AT 3 WINNER OF A LEG OF THE EXCELSIOR SERIES A AT YONKERS AND SECOND IN ANOTHER EXCELSIORS A SERIES AT SARATOGA. AT 4 A WINNER AND SECOND IN TWO LEGS OF THE PETTICOAT STAKE AND FINISHED 2ND IN THE FINAL. BIN N HEAVEN HAS BEEN RACE TIMED IN 1:52.2. SHE IS A 1/2 SISTER TO GIANT SLAYER 1:51.1 $106,234 AND THE NICE 3 YEAR OLD WOODACUDASHOULDA 1:56.4 $29,988 BY WELL SAID, TIMED IN 1:53.4. HAS A BEAUTIFUL FILLY AT HER SIDE BY WORLD CHAMPION CUSTARD THE DRAGON BORN MARCH 18/18. FOALS WILL BE ELIGIBLE TO THE ALBERTA SIRE STAKES. CONFIRMED IN FOAL TO CUSTARD THE DRAGON IN 2018. DUE APRIL 2/19. 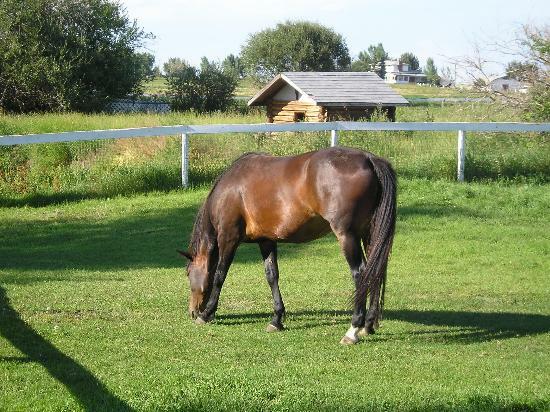 8 YEAR OLD MARE BY NO PAN INTENDED. SHE IS A 1/2 SISTER TO PANMUNJOM 150.4 STAKES WINNER OF $504,331, THE PAN POOBAH 1:54 $206,450, THE MGM PAN 1:53 $95,755 AND THE PAN FLAMINGO 1:52.3 $107,607. SECOND DAM ROAD TO PANDALAY BY MATTS SCOOTER PRODUCED 9 WINNERS INCLUDING MY PANMAR 1:48.3 $1,490,116 STAKES WINNER AT 3, AS AN AGED PERFORMER FINISHED 2ND IN THE CANADIAN PACING DERBY, FINAL OF THE LEVY SERIES AND 3RD IN THE BREEDERS CROWN, PAN SHUI 1:50.4 $534,439, ROAD BET 1:52 $380,315, PANDARIN DUCK 1:51.4 $190,004, JAMIE SUE 1:52.3 $167,928, SRI PANKA 1:50.2 $150,052 AND THE 2 YEAR OLD CALVIN K 1:52.3 $137,772. CONFIRMED IN FOALTO WORLD CHAMPION VINTAGE MASTER IN 2018. FOAL WILL BE ELIGIBLE TO THE BC BREEDERS STAKES. DUE APRIL 6/19. BEAUTIFUL DAUGHTER OF ROCKNROLL HANOVER WHO DISPLAYED EARLY SPEED, POSTING A MARK OF 1:53.3 AT TWO IN WINNING A ELIMINATION OF THE SAVILLE LOBELL STAKE AT THE MEADOWLANDS. KILL A ROCKINGBIRD FINISHED SECOND IN A LEG OF THE LOU BABIC STAKE AND ALSO FINISHED SECOND IN NEW YORK SIRE STAKES ACTION AT FREEHOLD RACEWAY. AT THREE COMPETED IN THE NIAGARA SERIES AT WOODBINE, FINISHING 3RD IN THE CONSOLATION. HER DAM WAS A FORMER $115,000 YEARLING WHO IS A 100% PRODUCER. KILL A ROCKINGBIRD IS A FULL SISTER TO YELP 1:53.1 $54,277 AND THE NICE 3 YEAR OLD FILLY ROCKNROLL HOOCHCOO 1:53.3 $56,917. MARE HAS A BEAUTIFUL COLT AT HER SIDE BY MYSTERY CHASE BORN APRIL 16/18. CONFIRMED IN FOAL TO WORLD CHAMPION CUSTARD THE DRAGON IN 2018. DUE JUNE 2/19. BEAUTIFUL 3 YEAR OLD DAUGHTER OF WESTERN TERROR. A FORMER $48,000 LEXINGTON PURCHASE. A FULL SISTER TO ATHLETICLYINCLINED 1:52.1 $293,972 A 21 TIME RACE WINNER AND 1/2 SISTER TO PHYSICALLYINCLINED 1:49 $291,710 WINNER OF THE NORTH AMERICAN CUP CONSOLATION. FROM THE IMMEDIATE FAMILY OF THE 2 AND 3 YEAR OLD PACING FILLY OF THE YEAR ARMBRO AMORETTO 1:50.1 $1,604,459. WILL BE BRED TO WORLD CHAMPION CUSTARD THE DRAGON IN 2019. BEAUTIFUL BIG DAUGHTER OF WESTERN TERROR. A FORMER $40,000 LEXINGTON SELECT SALE PURCHASE. LAST TIME TO PLAY IS A FULL SISTER TO THE SUPER FAST COLT FIRST CLASS HORSE 1:5O $467,305. WINNER OF THE ASHA EMERALD STAKE AT TWO ALSO WON AN ELIMINATION OF THE NORTHLANDS FILLY PACE AT THREE. WILL BE BRED TO ALL BETS OF IN 2019.